Iconic Canadian country band Blue Rodeo will headline the 2018 Magna Hoedown. The eagerly-anticipated announcement for the Saturday, September 15 headliner was made Monday. A returning favourite, Blue Rodeo’s Saturday night concert joins the roster alongside previously announced guests The Road Hammers, who will be headlining the Friday night event, and Saturday’s lineup which includes a performance from the Hoedown Showdown winner, who will be crowned on Friday ahead of The Road Hammers, followed by Beverley Mahood and Gord Bamford, who opens for Blue Rodeo. Blue Rodeo, which is headlined by Jim Cuddy and Greg Keelor, came together in 1984 and have been wowing crowds ever since. They dropped their first studio album, Outskirts, in 1987, and their latest, 1000 Arms, was released in 2016. “This record has a lot more energy, a bit more up-tempo,” said Keelor of 1000 Arms. “Jim and I are singing a lot together and it turned out really great. 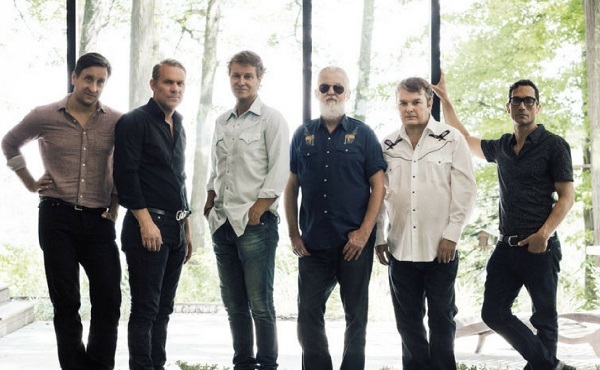 Over the last 30 years, and numerous studio albums, Blue Rodeo has become one of Canada’s most well-known country-rock acts, selling over four million records and winning several Juno awards along the way. They are members of the Canadian Music Hall of Fame, have received a star on Canada’s Walk of Fame, and have been honoured with the Governor General’s Performing Arts Award for their contributions to Canadian music. They sold out the Magna Hoedown when they last appeared in 2013 to mark the 25th anniversary of what has become York Region’s biggest fundraiser, and they’re aiming to do the same in this, the Hoedown’s 30th. Tickets for both the September 14 and September 15 evenings are on sale now at www.hoedown.ca.